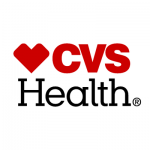 CVS Health is community-based and locally focused, engaging consumers with the care they need when and where they need it. The Company has more than 9,800 retail locations, approximately 1,100 walk-in medical clinics, a leading pharmacy benefits manager with approximately 93 million plan members, a diversified health care benefits company serving an estimated 22.2 million medical members, a dedicated senior pharmacy care business serving more than one million patients per year, expanding specialty pharmacy services and a standalone Medicare Part D prescription drug plan. This innovative health care model increases access to quality care, delivers better health outcomes and lowers overall health care costs. Slogan We are health care innovators with a simple and clear purpose: Helping people on their path to better health.